We hope you find westseneca.net an important source of information about our community and an efficient way to conduct business with the Town. Through this website you can communicate with Town departments, view recreation program information, read Town Board minutes, and perform many other tasks. The West Seneca Central School District is one of the largest central school districts in Western New York. It covers 25 square miles including portions of the towns of West Seneca, Cheektowaga, Orchard Park, and Hamburg. The Mission of the West Seneca Central School District is to provide a diversified educational program, which will produce literate, caring, ethical, responsible, and productive citizens who are capable of adapting to change. Mission Statement: To support business and to facilitate its development by promoting and encouraging commerce in the community of West Seneca. As a result of the tragic loss of a 16 year old West Seneca resident, Amanda Hansen, due to carbon monoxide poisoning, the West Seneca Town Fire Chief’s Association formed a task force to educate community members about carbon monoxide in the home. 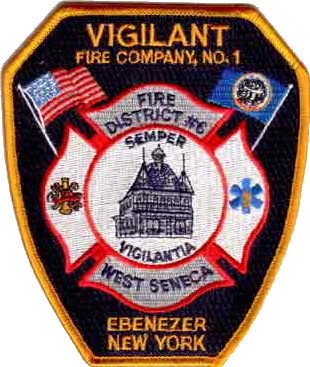 This task force is representative of the six fire districts in the Town of West Seneca and the Springbrook Fire Department of Elma. A valuable source for funeral planning and education. There is information on funeral services, preplanning, links to many resources, etc. The Buffalo Niagara Convention & Visitors Bureau, as the marketing leader of the hospitality industry, promotes our region worldwide as a convention, tourism, leisure and business destination for the economic benefit of the community. The Fire Safety Division of the Erie County Emergency Service serves as a resource center for the County’s 94 volunteer fire departments, operating the Emergency Services Training & Operations Center in Cheektowaga and two other field training centers in Amherst and Orchard Park where some 4,000 fire fighters train annually. Whether you’re a firefighter or you want to be one – we hope this web site provides you with the information you’re looking for, or at least points you in the right direction. Let us know what you think.